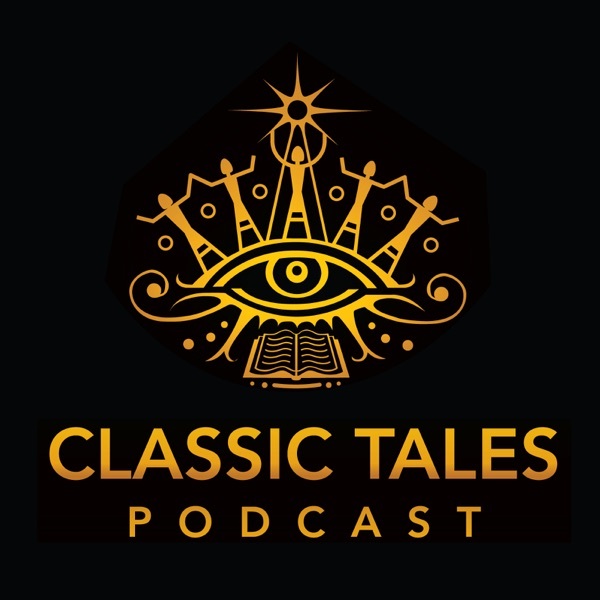 The Classic Tales Podcast | Listen Free on Castbox. Bertie and Bingo both find themselves knee deep in the proverbial consommé, and Jeeves must rally round before we come to our ripping finish. P.G. Wodehouse, today on The Classic Tales Podcast. Welcome to The Classic Tales Podcast. Thank you for listening. The Classic Tales Podcast is listener supported. Thank you so very much to all of you who have gone to www.classictalesaudiobooks.com and become financial supporters. There are several options to support the podcast, starting at $5 a month. Each of your offers of support comes with a monthly “thank-you” code. Use the codes for any audiobook download, and watch your library of classics bloom and grow. Everybody wins! And we get to keep the podcast going strong. Thanks again for your generous support. You can also purchase t-shirts, tote bags and other merchandise with your favorite Classic Tales covers on them at our merchandise store. And finally, we have the hybrid audiobook: a creation of my own invention, where an audiobook is embedded within the pages of a printed book. Links can be found in the description for this episode. We have had a few developments at The Classic Tales this last week. I’m not sure how many of you are familiar with the Roku technology, but I may have some news about this in the up and coming weeks. Should be fun. Also, I’m going to begin producing regularly special content for those who have the Classic Tales App. In the special features, you’ll find every week, a brief audio segment of a longer poetical or philosophical work. I’ve noticed that there is something about hearing poetry or listening to the amazing scholars from the past that really hits a special note deep down inside. Now, the problem is, they can wear out their welcome pretty quickly. And so, we’re going to have just a smattering of the good stuff on the reg, as it were. We are going to start with The Meditations of Marcus Aurelius. Marcus Aurelius was one of the stoic philosophers, as was Epictetus who penned the most famous Enchiridion. Now, the thing that really struck me about the Meditations is when I discovered that these incredible, uplifting and memorable words were not written for the annals of history. They weren’t written for his contemporaries, or even his family’s perusal. These meditations were written for Aurelius and Aurelius himself. These are the intimate innerworkings of an incredible mind, written as he travelled from battlefield to battlefield. And through his triumphs and his losses, he records his meditations for his own later contemplation. Enough’s as good as a feast. So if you have the app, check out your special features. I hope you like it. And now, The Inimitable Jeeves, part 9 of 9, by P.G. Wodehouse Tap here to go to www.classictalesaudiobooks.com and become a financial supporter! Tap here to purchase Huckleberry Finn – the first Hybrid Audiobook Tap here to go the The Classic Tales Merchandise store! Will Bertie’s incorrigible cousins forever be foisted upon him? P.G. Wodehouse, today on The Classic Tales Podcast. Welcome to The Classic Tales Podcast. Thank you for listening. The Classic Tales Podcast is listener supported. Thank you so very much to all of you who have gone to www.classictalesaudiobooks.com and become financial supporters. There are several options to support the podcast, starting at $5 a month. Each of your offers of support comes with a monthly “thank-you” code. Use the codes for any audiobook download, and watch your library of classics bloom and grow. Everybody wins! And we get to keep the podcast going strong. Thanks again for your generous support. We also have several other ways to support the podcast. You can also purchase t-shirts, tote bags and other merchandise with your favorite Classic Tales covers on them at our merchandise store. And finally, we have the hybrid audiobook: a creation of my own invention, where an audiobook is embedded within the pages of a printed book. Links can be found in the description for this episode. Now with The Classic Tales, you also get a thank you/coupon code as a bonus. You can go to the website and get unabridged classic audiobooks for a buck or two more. Or a few more short stories to round out your month. This is how your library can grow, basically effortlessly. It’s really a great little system that keeps us going strong. And now, The Inimitable Jeeves, part 8 of 9, by P.G. Wodehouse Tap here to go to www.classictalesaudiobooks.com and become a financial supporter! Tap here to purchase Huckleberry Finn – the first Hybrid Audiobook Tap here to go the The Classic Tales Merchandise store! Will Bingo edge out a rival for the affections of his latest amour? Jeeves thinks this one’s a winner. P.G. Wodehouse, today on The Classic Tales Podcast. Welcome to The Classic Tales Podcast. Thank you for listening. The Classic Tales Podcast is listener supported. Thank you so very much to all of you who have gone to www.classictalesaudiobooks.com and become financial supporters. There are several options to support the podcast, starting at $5 a month. Each of your offers of support comes with a monthly “thank-you” code. Use the codes for any audiobook download, and watch your library of classics bloom and grow. Everybody wins! And we get to keep the podcast going strong. Thanks again for your generous support. We also have several other ways to support the podcast. If you’re a business owner, and you would like me to develop a podcast for your business, please send me an email at: bj@thebestaudiobooks.com. You can also purchase t-shirts, tote bags and other merchandise with your favorite Classic Tales covers on them at our merchandise store. And finally, we have the hybrid audiobook: a creation of my own invention, where an audiobook is embedded within the pages of a printed book. Links can be found in the description for this episode. Now, I thought I’d just walk through why the subscription system is such a great way to support the podcast. I mean, I support podcasts for $5/month, and I consider it a great direct investment in the talent and dedication to those who are podcast producers. For us at least, $5/month is super manageable. Now with The Classic Tales, you also get a thank you/coupon code as a bonus. You can go to the website and get unabridged classic audiobooks for a buck or two more. Or a few more short stories to round out your month. This is how your library can grow, basically effortlessly. It’s really a great little system that keeps us going strong. Well, you probably noticed that the number of parts changed in today’s title. Usually I’m better at this, but I wanted to take old Pelham Grenville Wodehouse as I found him. And so, I’ve been splitting the podcast episodes up when I got to a good stopping place. The problem was, when I got to part 6 of 7, I still had 30% of the book left. So, we’ll just keep stretching out the good times, if you don’t mind. And now, The Inimitable Jeeves, part 7 of 9, by P.G. Wodehouse Tap here to go to www.classictalesaudiobooks.com and become a financial supporter! Tap here to purchase Huckleberry Finn – the first Hybrid Audiobook Tap here to go the The Classic Tales Merchandise store! The Agatha Christie, l just can't believe how brilliant he did the English accent of 1920. Fair enough not the most difficult for the posh characters, but the more obscure accents was impressive. Being a English man, l know how difficult it can be. A brilliant voice actor really brought the whole story to life. He is a joy to listen to. this one may have a broken source. bummed. Harry Harrison is the man! deathworld is a fave! Brightens up my daily dog walk. I would like to become a $5/month supporter but the website doesn't work on my android phone. 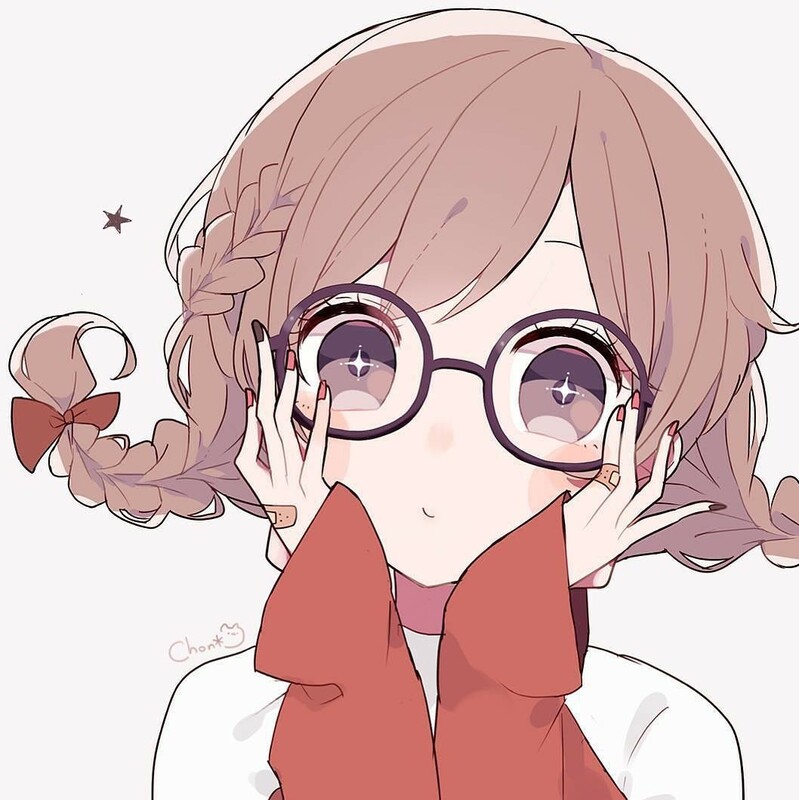 anyone knows how I can find some older episodes? it starts at ep 503. Love this podcast! Voice is a winner. Best voice for the classics I am glued to the player from start to finish. Raven Crawford same. it said eps 555 but it was 53 episodes only. I'm always impressed when someone takes their huge talent and a large chunk of their time and gives it away for free. B.J. Harrisson has a beautiful voice and does a wonderful job of bringing to life all the characters in these classic stories. Some I've heard, some are new to me, but they are all wonderful. Thank you for upping the turn-out to once a week! This is right up there with Wait-wait and This American Life on my list of the podcasts I most look forward to every week. You will not be disappointed! Great selection of literature, that is flawlessly read by Mr. Harrison. Mr. Harrison's enthusiasm and character voices draw you in, and every podcast leaves you well entertained. His purpose is to bring back those classic stories,and it is being acheived outstandingly. You will be surprised, as was I, when you listen to how well this podcast is produced. The selection of tales is nearly perfect for what is available. People who have complained need to realize a few things: 1) Mr Harrison has to choose short stories from the public domain. It just so happens that most "classic tales" are already there. 2) Many classic tales are, uh, by definition OLD. Complaining about the narrator's "accent" makes little sense. Mr Harrison has to choose a voice that doesn't sound like it's someone from 2008. Some people have wondered why he sounds British--well, urm, a few centuries ago many Americans were only a few generations removed from England, and most of the authors showcased in this podcast are from nineteenth-century America or else actually from England. Does Mr Harrison's accent sound phony? I don't know, I never really thought of it as an "accent" but as an effected (and effective) reading voice. I'm an American living in Britain--but like most people I'm not two hundred years old, so I've never heard "accents" from a century or a century and a half ago on either side of the Atlantic. I would imagine that genuine voices of people from those times would inescapably sound "phony" to some listeners today. Moreover, this artificial quality is sort of the point. If I'm listening to Dickens read aloud, it would displease me NOT to hear a Victorian-era voice. If I'm listening to Twain, I want to hear an old American accent much like the one Mr Harrison provides. Is his reading voice perfect? No, but I think it's very good. Do I think he puts a lot of emotion into certain passages? Yes. Too much emotion? Sometimes I think so, when I'm not particularly into the story. But I don't think he "hams it up" too much. I've never found his voice or accent to be a problem. Sometimes I want reverence and (slightly reserved) enthusiasm for the classics. Sometimes I want to hear sophistication and excitement for our American literary heritage and the heritage of many European writers from the past centuries. Not only is it escapism--to imagine how these authors lived, how they managed to write--but it is edifying. This podcast gives me that once a week. I love it. It's a shame that there aren't other podcasts like it, completing with it, being inspired by it, trying to outdo it, just as those featured writers from centuries ago were inspired by each other with each tale. ...I don't understand one reviewer's "Frasier Crane" comment. Frasier Crane wasn't British, but I guess anything "smart sounding" must be British, right? I guess "talking smart" is just an intolerable crime to some ears. Maybe when Mr Harrison reads some of these sophisticated or wordy, purple-prose authors (e.g. Poe) he should just not read the words that are there or read them in more of a Homer Simpson voice? Thank God for this podcast. It's my one hour a week of contemporary entertainment media that is actually smart, enjoyable and literary.